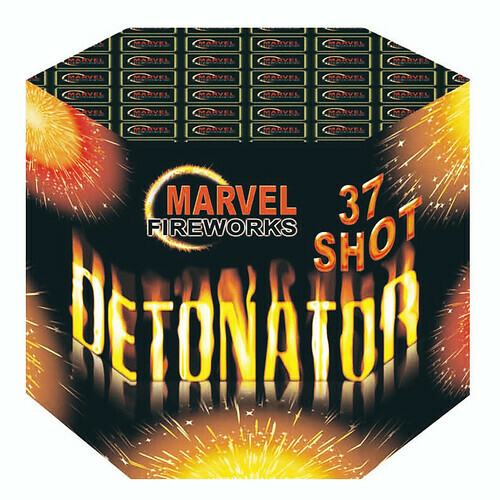 Detonator 37 shot is a powerful piece of pyro with the maximum 30mm allowed. Medium paced which gathers pace and then fills the sky with red and green palms, willows, strobes and coloured peonies. Lasting just under 50 seconds it is powerful, loud at a rating of 9/10 and a must for any display this year.